« I’ve Started A Board Games Website! 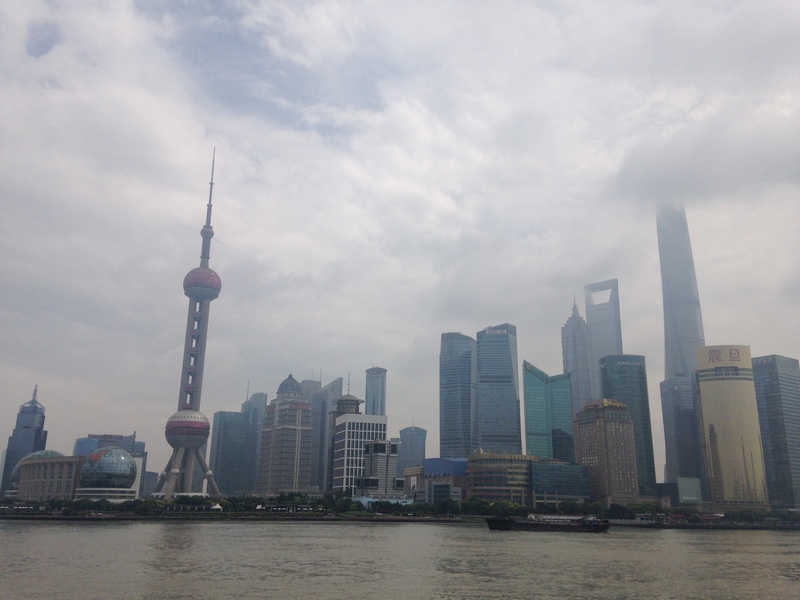 The Shanghai skyline was nothing short of magnificent. Each building that stood alongside the banks of the Yangtze River had its own character, whether it was the older British buildings or the skyscrapers that lined the Pudong side. I was particularly impressed by the buildings on the Pudong side, especially when I learned that many of those skyscrapers were built within the last 10 years. It’s a mindblowing testament to China’s steadfast focus on growth and its ability to bring resources to bear. Those buildings are only one part of the equation. The other parts of the equation include the construction cranes which stand atop nearly every other building and the construction vehicles delivering materials needed to build China’s infrastructure, be they high speed rail lines or freeways. The amount of construction going on feeds into China’s voracious appetite for growth and it’ll be interesting to see what the next 10 years brings. Even in Shanghai, amidst the wealth, it wasn’t hard to find areas that were run down, where you’d find pockets of old buildings that were waiting to be demolished and replaced. None of that compared to what I saw outside of Shanghai where the developmental differences were stark. On the way to Lijiang from Guilin, you could see areas that were under construction, where incomplete houses lining the streets would have concrete blocks, piles of lumber, and steel beams lying next to them, waiting to be used. And that doesn’t include the roadways which were half-built, leading to pockets of congestion. One of the side effects of this construction is that the air is dusty from a combination of construction and vehicles kicking up loose dust. It’s not uncommon to see a car caked in dust driving along the streets and highways. It’s a telling sign that the thing that I took away most from my visit to China was the scope and scale of the construction. While the previous two points touch upon the positive aspects of all this construction, here’s where the doubt enters the picture. With all this construction going on, China might be overbuilding. Its rapid growth has led to a construction boom that is as undisciplined as it is impressive. As I went from city to city, I wondered whether the apartment buildings, shopping malls, office buildings, hotels, and roadways would ever be fully utilized. When I walked around at night, I saw apartment buildings that were nearly dark; maybe only 20% of the units were being occupied. With all the money pouring into this construction, you’d have to hope that it would pay off and be used. The hotels that I stayed at are another example. 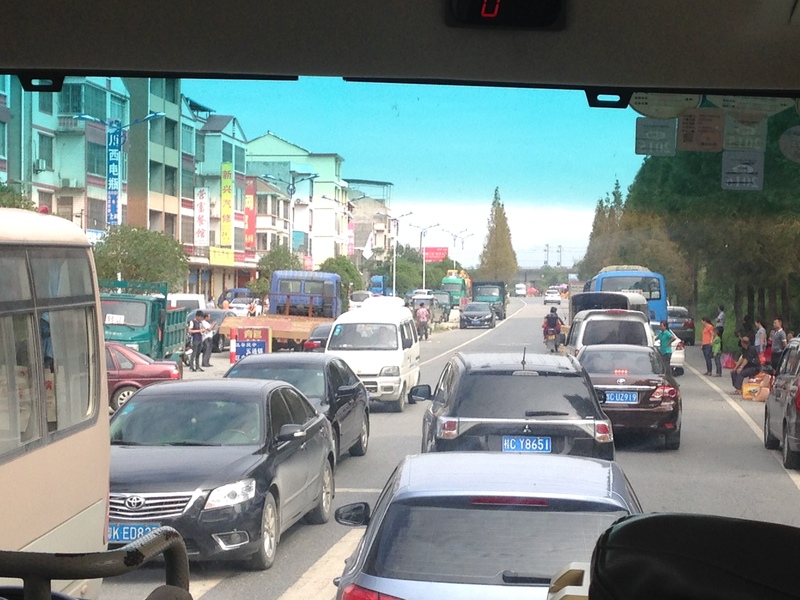 Although the ones in Shanghai and Guilin were lively, others, particularly in Yangshuo, were empty, almost eerily so. In one instance, I stayed at a government-owned hotel. While wandering around in the early evening, I discovered that some of the floors were completely blocked off, their hallways completely unlit. Aside from my tour group, no one was staying there. The question of overbuilding looms over China’s rapacious construction activities. Only time will tell whether all that construction proves to be prudent investments or an example of central planning gone awry. With all that construction going on, it was interesting to see how status factored into what got built. China’s projects seemed geared towards increasing its status and prestige. You saw it in Beijing’s stadium construction during the Olympics and it was definitely present in Shanghai. During the tour out on the Bund, my tour guide spoke of how Shanghai has been adding to the number of tallest buildings in the world. The Shanghai World Financial Center was a highlight, at nearly 500 meters, but even that’s dwarfed by the upcoming Shanghai Tower which stands around 632 meters. That China is pushing for prestige construction projects shows a country that’s trying to stand on even terms with the rest of the developed world. The spectacle also extended to its theater productions. In Yangshuo, I watched a production of the famous Chinese musical, Liu San Jie, which was impressive in the way it coordinated all of the actors and extras on stage as well as the lighting effects and boat movements. But through it all, the whole arrangement felt like a triumph of style over substance. Maybe I just need to have more background on why people liked the film so much. More superficial is the focus on status at the individual level. Symbols like Louis Vuitton bags and Western brands are symptomatic of this focus. What gets lost amongst all this is quality of life. While the air and roads are filled with dust, ash, and smog, while buildings that are a mere 15 years old look like they’ve been around since the 1950s, the drive towards conspicuous consumption rather than simply living better feels like a misplaced priority. That’s not too much of a surprise though. Symbols of prosperity inspire much pride in just how far China has come while the ability to live well is a luxury that just isn’t attainable when many are still living in poverty. The next step in in China’s evolution is to reach a level where they’re comfortable and secure with their place in the world so that they can focus on a better quality of life. “International” is a word so commonplace in China that it’s practically a marketing or branding term. Everywhere you go, even if it’s to a rural part of China, you will encounter that word as you walk around, whether it’s a place labelled as an “International” Hotel, “International” Plaza, or “International” Apartments. Even if there are no foreigners in sight! These names serve either as an aspirational driver, i.e. a position statement of where these places see themselves in the next few years, or an investment driver, whether it’s in getting more Chinese to invest in these areas or getting more foreigners to come in. There is precedent for the latter scenario, where foreigners are used to advertise new properties, so it’s not too hard to believe that it’s being used to lure in domestic investment. As I noted in the discussion on status, internationalization is its own status symbol, a sign of Chinese aspirations of advancement and prosperity. The word might be trite and overused in China, but it’s reflective of its people’s wishes. We’ll see whether the rural areas get there in the next 10 years. This entry was posted in Travel - China and tagged China, Guilin, Shanghai, Travel. Bookmark the permalink. Post a comment or leave a trackback: Trackback URL.